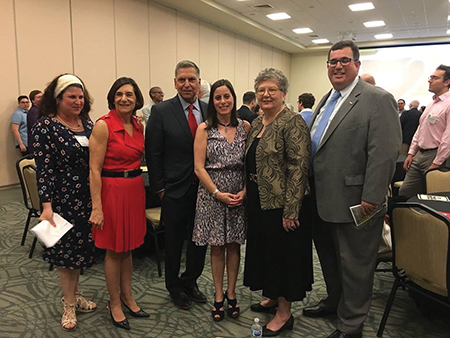 Towson Hillel welcomed 100 community members May 3 for its annual meeting, which capped off a year of celebrating 20 years at Towson University. The event featured awards, the installation of new Hillel board members, a slideshow retrospective and addresses from Kim Schatzel, president of Towson University, and Linda Hurwitz, chair of the board of The Associated: Jewish Community Federation of Baltimore, among others. 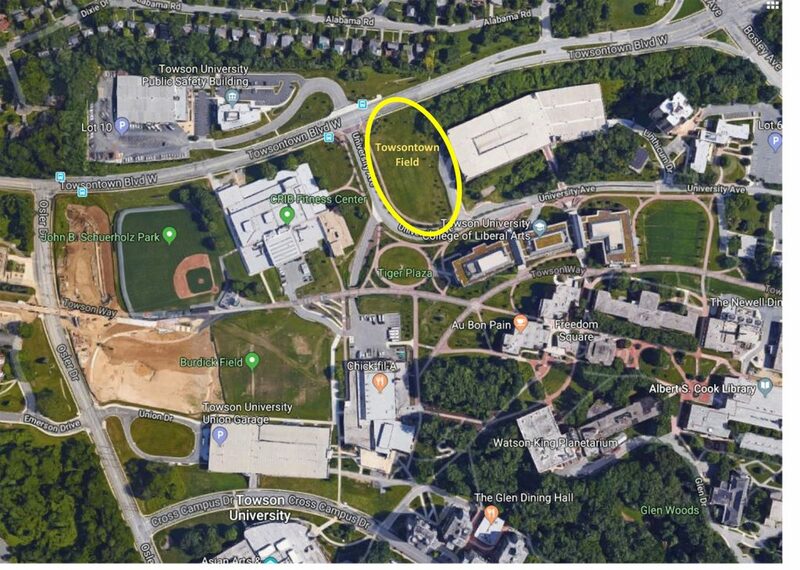 While the evening maintained its celebratory nature, the news of an alleged anti-Semitic attack on Jewish Towson University students just four days prior could not be avoided. “Violence of any kind is not tolerated by our communities. Violence of any kind is not tolerated by the campus,” Schatzel said in her address at the event. Schatzel went on to say that even more deplorable was the fact that fellow TU students reportedly perpetrated the alleged assault. “Outrage and sadness,” she noted, is shared not only by The Associated and Towson Hillel, but by TU’s entire leadership team. Schatzel said she met with the three “remarkable, poised and accomplished” AEPi brothers the day before the year-end celebration. The students told Schatzel that although they came to TU because it is a university that supports Jewish culture and student life, they no longer feel safe after the Sunday-morning attack. “We pledged to double down — and work harder — to make sure that bias, hatred and violence against individuals never rears its ugly head again on TU’s campus,” she said. In Hurwitz’s address, she spoke of the international rise in anti-Semitism and anti- Israel actions. Like Schatzel, Hurwitz demanded that the Jewish community, the TU leadership and student body rally together to promote tolerance, learning and kindness. After the event, Towson Hillel executive director Lisa Bodziner said that while the incident from Sunday morning was “truly frightening and tragic,” Jewish people always come together when faced with adversity. Stories come to life here.